I have gone over this topic briefly in terms of detoxification earlier (see post Making sense of detoxification and healing in TSW) but today I want to specifically go over what a healing crisis is. I hear people talk about ‘flare ups’ a lot and most people are aware of these that come and go in their TSW healing journey, but what many of us don’t understand is what the body is actually going through when we ‘flare up’. Some, like I used to, couldn’t bear the pains and discomfort and would take pharmaceuticals to suppress these healing symptoms, or have a pig out comfort feast . I have now found out is not really a good idea interfering with the body’s self-cleansing process. So lets go through what our body is up to and telling us when we have a ‘flare up’/healing crisis. What is a healing crisis? A healing crisis is when a surge of symptoms from damaged cells and toxins in the body are being released during a cleansing or detoxification process. Remember the body is continually self-cleansing in general when we conserve energy to do so (e.g., resting, not digesting food). The term healing crisis is also known as the "Herxheimer Reaction" which basically means a healing crisis occurs when toxins accumulated in the body are being released at a fast rate than the body cannot eliminated via normal routes, that is the kidneys through urination, colon through digestive wastes and skin through sweating (Kellar, 2005; Morse, 2004). The symptoms may be mild or severe, depending on the body's original toxicity, but are definitely temporary (Kellar, 2011). Dr Morse’s talks about one of his clients even having temporarily blindness as a healing crisis (watch video below). The symptoms will vary across each individual and really depend on where damaged cells are and the toxicity level. Generally, the more toxic one's body is, the more intense the healing crisis symptoms will be. Years of exposing our body and mind to environmental toxins, pharmaceutical drugs, bad food and lifestyle; these toxins all accumulate in our trillion cells interstitially throughout the body, if we haven’t eliminated them. Additionally, the human body has bacterial colonies. When we cleanse our body, the toxins dislodge and the bacteria die off and release endotoxins. When the toxins and waste are dislodged, our body begins to flush them into the LYMPHATIC SYSTEM (NOT THE BLOODSTREAM) to be filtered and eliminated. This sudden circulation of toxins can temporarily impede one’s well being and symptoms of all sorts could pop up e.g., discomfort, sweating, fever, discomfort, skin rashes etc. Healing through detoxification requires accumulated toxins to be flushed out of the body, this means lifting the suppressive effects we have done to our body’s normal functions (natural cleansing/self-healing mechanisms) through pharmaceutical drugs especially but also acidic food and bad lifestyle. Hence, in order to have make way for the regeneration of our health, we must tear it up first (Cornish, 2011). As the body is cleaned up, previously inactive natural healing mechanisms will be reactivated and various types of tissue regeneration can be accomplished. The regeneration involves the body destroying damaged tissues and cells in order to rebuild them. This is where the “healing crisis” comes in as the regeneration can be a experience of bodily pains, inflammation or cold and flu-like symptoms. In the case of TSW, this would be lots of oozing, pain, redness, etc as the cellular poop gets flushed out (read Understanding Our Lymphatic System). During this time, our immune system will also wipe out any pathogens like viruses, bacteria, fungi and parasites, this is also part of the release of acidic by-products (cellular poop in our lymphatic system) (Cornish, 2011). Assume that every year you painted your walls a different color. As time went on, you layered color upon color. Finally after 30 years, you found that the newest paint was not sticking properly because layers of paint underneath were cracking and coming off. So you decided to strip all of the paint off the walls and give it a fresh coat of paint. As you started stripping off paint, you saw earlier layers. In the process of cleaning and stripping the walls, you got glimpses of what your walls were like and what they went through in prior years. Believe it or not, human bodies work in a similar fashion. As bodies store fat, the chemistry of the fat reflects the internal body conditions at the time the fat was stored. Each year, a residue of the viruses, bacteria and toxins you were exposed to were stored in fatty deposits. Similar to the paint stripping analogy, as a body is cleansed, stored toxins, bacteria, and viruses are released. As they are released, symptoms experienced with the particular malady or event associated with the toxin are re-experienced - albeit in a milder form. DEHYDRATION — Keep hydrated with fresh mineral water or freshly juiced fruit and vegetable juices. OVEREXERTION —Conserve as much energy as you can. TOO MANY PESTICIDES — Pesticides can cause shortness of breath and “hypo” conditions of the endocrine gland system and nervous system. PUSHING IT TOO FAR — If you need to slow down or stop the cleansing process temporarily, start eating some cooked foods. Try to make do with the minimal amount, if possible, like some steamed vegetables or whole grain rice. This will lower the body’s systemic energy for a time and it will stop the intense cleansing. As soon as you can, resume the cleansing program. FEVERS ABOVE 103°F / 39.4°C — In adults and children such fevers should be controlled by cool baths and the like. Children can naturally have high fevers, especially around 104-105°F / 40-40.5°C. Keep the child cooled down with cold washcloths and cool baths. There’s a fine line between interfering with the body’s effort to clean and heal itself and simply allowing your body freedom to do as it chooses. 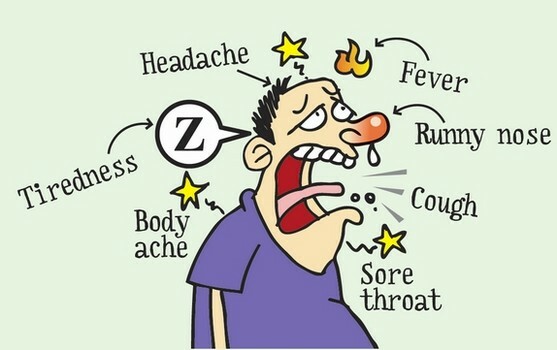 However, a slight fever would be no cause for concern, and require no control. 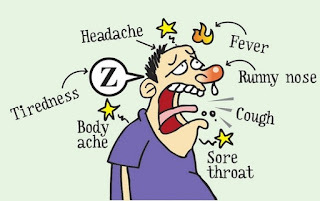 But with higher fevers we want to carefully monitor the body and control those situations that could cause more severe side effects. Remember, always keep the body hydrated by drinking plenty of water or fresh fruit juices. But don’t over-hydrate yourself either. Balance is key. congested lymphatic systems, to kill parasites, and to enhance the function of your organs and glands. However, your body has its own rhythm of healing and cleansing itself. Be patient. DON’T OVEREAT — Animals generally don’t eat at all when they’re sick. Your body was designed to heal itself and clean itself out. All you have to do is feed the body properly. Keep faith and strive on. Happy healing everyone. Morse, R. (2004). The Detox Miracle Sourcebook. Paperback version. Chino Valley: Kalindi Press. Month 28 & 29: Survived another healing crisis!